Many of us are aware of the Rana plaza collapse in 2013 that killed nearly 1,134 people. The collapse brought the working conditions in ‘fast fashion’ factories to the attention of the global media. The wages and working conditions for the people making our clothes are some of the biggest motivating factors to shop more ethically. However, another important ethical issue we need to consider is the environmental impact of our garments. We need to consider our carbon footprint. When we think about our carbon footprint we often think about cars, the air miles we clock up, and our household recycling. But what we choose to wear is one of the biggest impact factors on the environment and the fashion industry is one of the largest polluters in the world. Fashion is complicated. There are long and varied supply chains of raw material, production, manufacturing, shipping, and retail just to get your clothes to you. There is massive variety in the paths garments take from one garment to the next, so determining the exact carbon footprint is almost impossible. But the environmental impact of the fashion industry overall is hard to ignore. 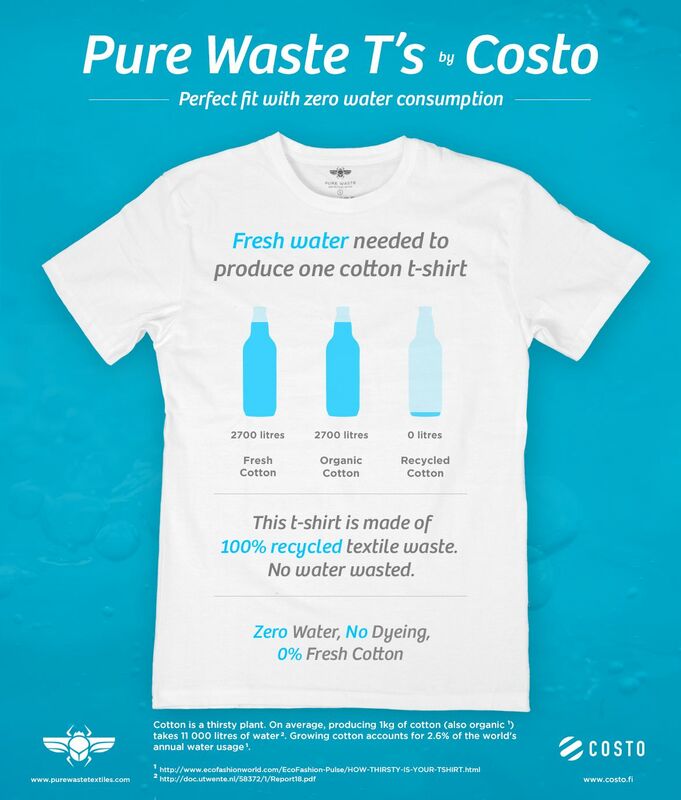 Even organic cotton, which is often viewed as a more ethical choice, can require more than 5,000 gallons of water to produce enough cotton for one t-shirt and pair of jeans. Synthetic fibres are less water-intensive, but cause pollution during the manufacturing process. Across the entire textiles industry, manufacturing and dyeing fabrics is chemically intensive. Globalization also means that your clothes have likely traveled across the world on a ship powered by fossil fuels. Then, there’s also the environmental impact of washing and eventually disposing of them to consider. Designer Eileen Fisher stunned audiences at an awards event last year when she announced “the clothing industry is the second largest polluter in the world – second only to oil”. It’s impossible to measure whether or not that’s true, but it is clear that the clothes we wear are having a negative impact on the planet. Fast fashion is making clothing more disposable. Making catwalk trends available at low prices creates demand, churns out cheap clothes, and accelerates carbon emissions. This causes increased global warming and textile waste in landfills. In the UK alone around 350,000 tonnes of used clothing goes to the landfill each year and the average person only wears two thirds of what’s in their wardrobe. Many slow fashion brands are making ethical clothes more affordable. Although the fashion industry won’t change overnight, we can all play our part. Did you know that extending the average lifespan of clothes by just 3 months of active use would lead to a 5-10% reduction in carbon, waste and water footprints! There are small changes you can make, and it’s easier than you think. Educating yourself on the issues behind the fashion industry is the first step to shopping more consciously. The three key principles also apply – reduce, re-use, recycle. Fast fashion encourages us to buy more in bulk. But, shopping for ethical brands means you need less because of their better quality. Before you hit high street, dig around the wardrobe to see if you’ve got any hidden gems you can re-use. When you are ready to part with a garment, see if you can donate it to a charity rather than send it to landfill. Remember, any small effort against the fast fashion trends makes a positive impact on the environment! Underwear Day – Why Not Go Organic? Sian is a love of travel, fashion and all things ethical. She is one of the founders of Little Lotus Boutique, supporting artisans and championing handmade, ethical garments from across the globe. She lives and blogs in the UK but rarely sits still and can often be found with a backpack on exploring a different corner of the world! This entry was tagged ethical fashion, fashion, sustainability, sustainable fashion. Bookmark the permalink.